Redbike is your electric bike destination in Edmonton. In fact, the capital city and surrounding area are perfect for electric bikes what with all the dedicated bike paths and headwinds. Just imagine riding around the city, avoiding all the traffic and not having to worry about finding parking! 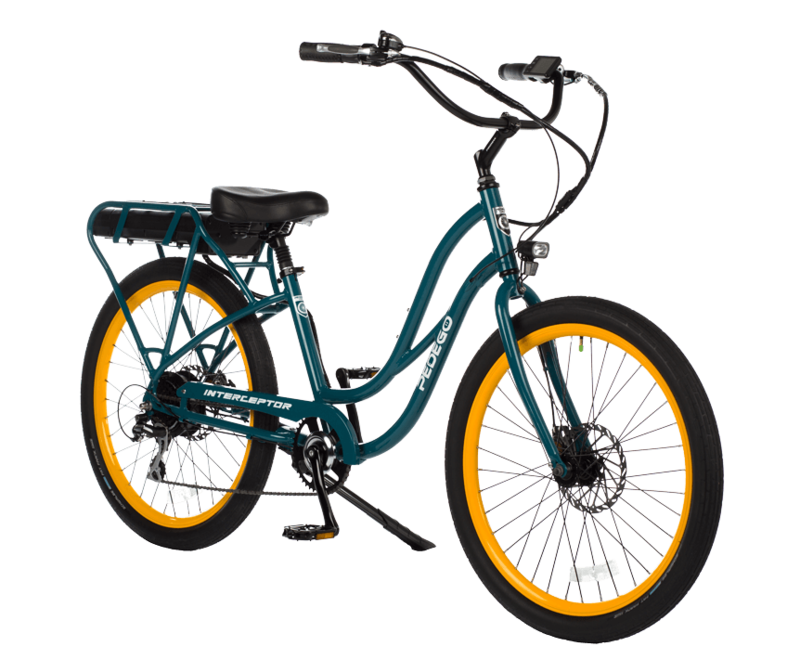 Take one of these great electric bikes for a test ride in Edmonton, Alberta, and find out why Pedego Electric Bikes are so popular. You’ll discover that not only will an electric bicycle get you off the couch and out of the car, you’ll also have a lot of fun riding one! Every Pedego is lovingly designed in California with you in mind. They are crafted with select, brand name components from the ground up. Our philosophy is that an electric bike is only as great as its weakest part, so we pay attention to the details (even those you don’t see), and we never cut corners. Small details make a big difference, and when you ride a Pedego, you can tell that we really care. Pedego is a fun company, and yet we’re gravely serious about one thing — uncompromising quality that lasts.